Growing plants is an answer to a sustainable Earth. Plant shade can solve energy needs. 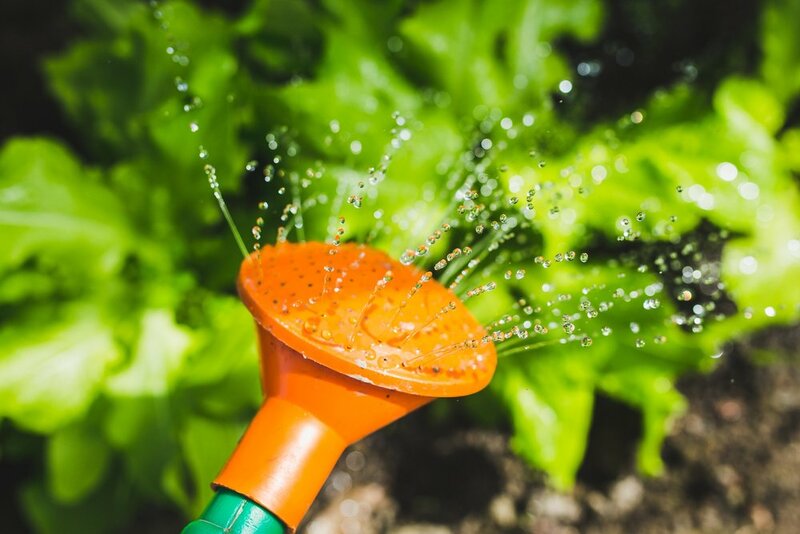 Growing specific plants can help water and soil conservation. and living spaces to protect animals and other creatures. This is an answer to solving Earth’s sustainability challenges. Your personal plant motivation? Food. Beauty. Gardening. Bliss. Environment. Wait a minute…I try to grow plants and I always kill them. Ah, no. You can get that green thumb award. 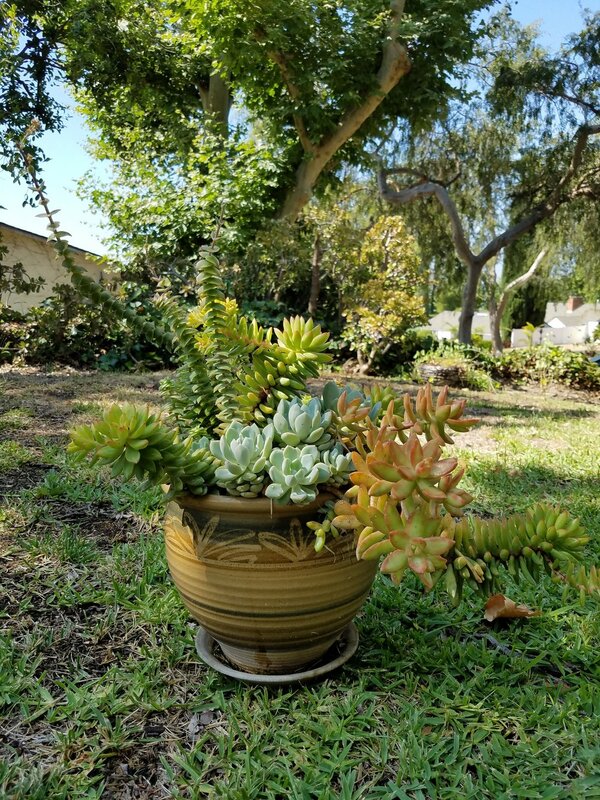 You don’t have a brown thumb – you need to learn what your plant needs, give it to them, and your plant will be happy, growing, and green. The more you grow, the more you'll know about plants. Many of my students had never grown a plant before and became successful, inspired growers by the end of the semester. Here are the growing basics I taught them in Botany class. Location – indoor or out - and conditions make a huge difference between plants dying or plants thriving. 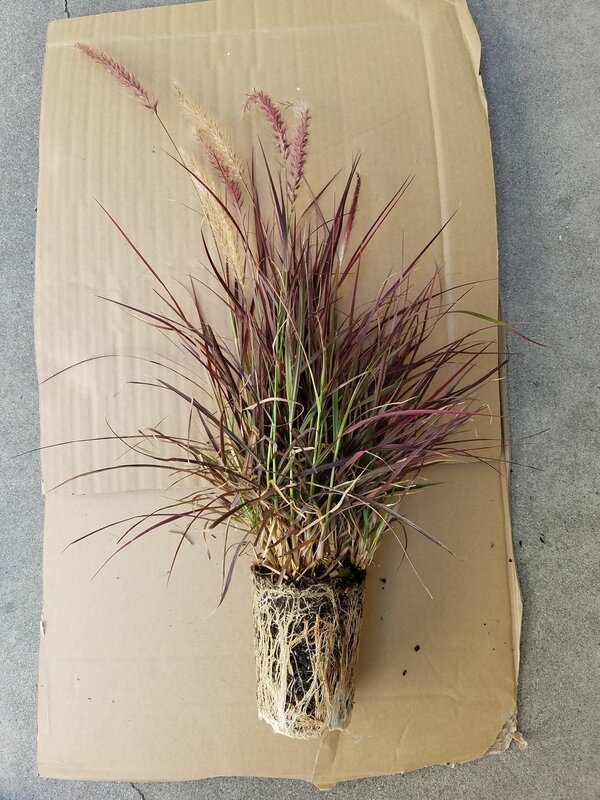 Soil type can also determine the plant success. Planning for the conditions means you’ll get rid of your brown thumb. What do you want from a plant? the calm of green living things? A front door welcome. 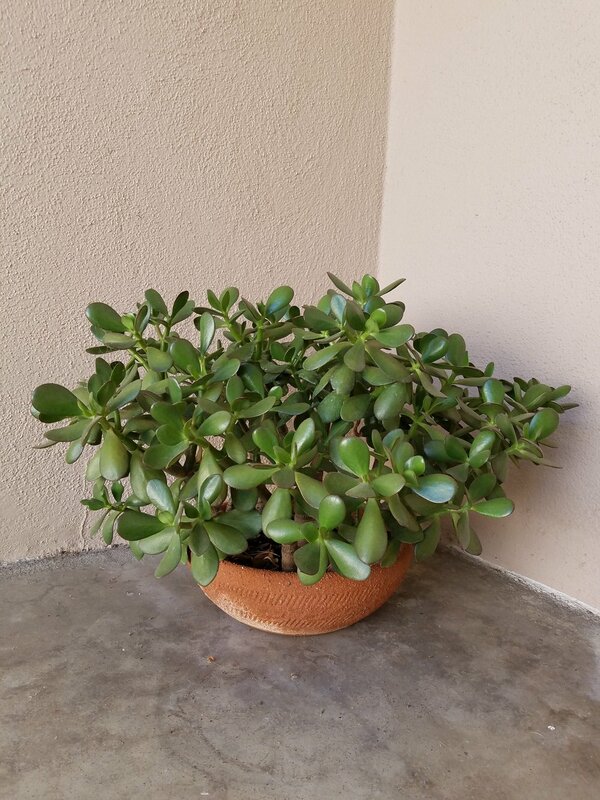 These are my Jade plant cuttings now filling a terracotta pot. Consider what you want and need before you choose your plant. Choose the plant that both fits what you want and how it will best survive in your environment. Learn about the plants you go to grow from many places – books, endless resources found on the Internet, on the packages of seeds, the tags on potted plants, gardeners, plant nurseries, landscapers…make sure to listen, the plants are whispering to you. The depth of a seed planted in soil matters. If it’s not specified in planting directions, plant the seed in twice the depth of the size of the seed. 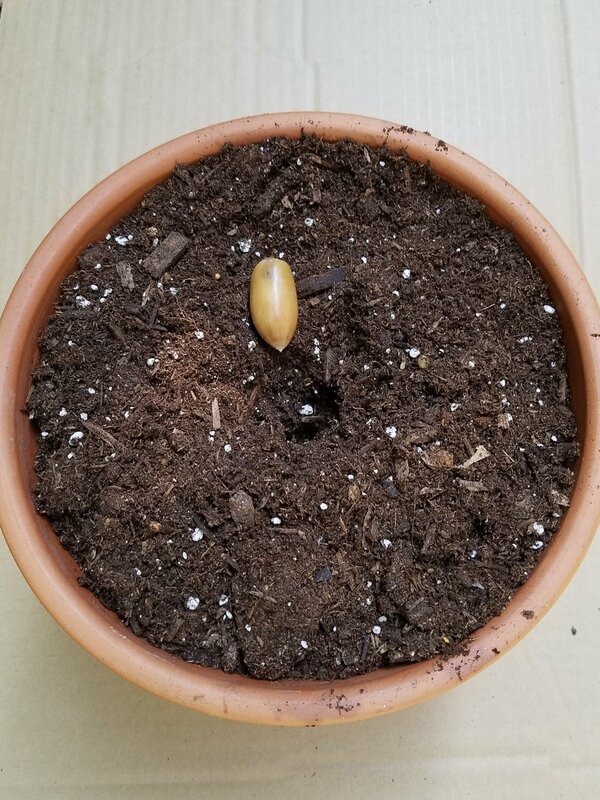 This California Live Oak acorn is about an inch long, so will have to be buried in a 2 inch deep hole. If the seed is buried too deep, it may not get the warmth from outside the soil to germinate. If it’s too close to the surface, it may be too fragile to survive once it emerges. Follow the seed planting guide for your plant. Some good, reliable plant seeds to start with are Lima beans, Morning Glory flowers and tomatoes. This was perfect for my high school classes for as much early instant growth gratification as possible. So many seed choices and seed companies. You can buy organic seeds. You can buy from seed banks, which carefully collect seeds from nonstandard plants. I often use Burpee seeds. They grow with happy results. without having to buy one. This is vegetative propagation, as opposed to sexual propagation. Sexual propagation is how seeds, which are baby plants, grow into mature plant. 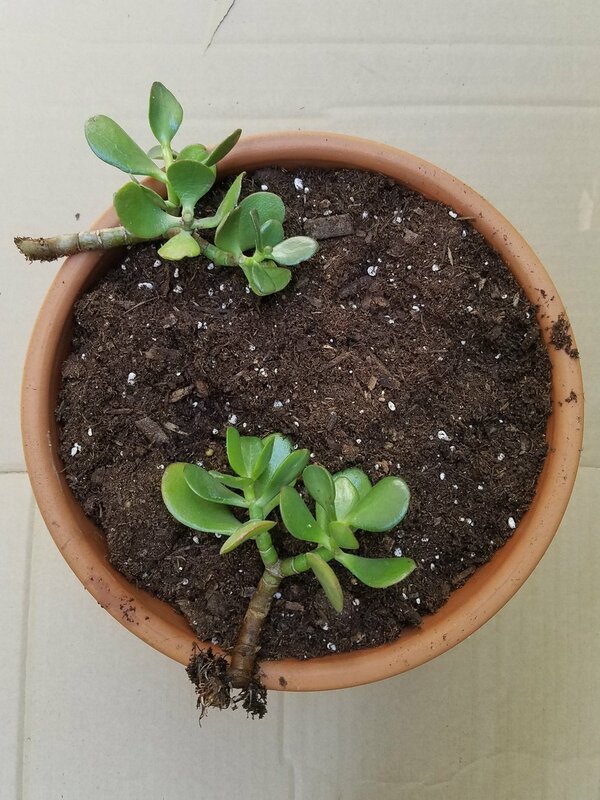 Cuttings can be placed into water to develop roots. Or, they can be placed directly into the soil. Root growth promoting Rooting powder can be used on cuttings directly in soil without waiting for roots to grow. Dig a hole in the soil, whether you want to transplant your plant into a larger pot or in the ground. Wet the inside of the hole with water. Gently loosen the roots from the pot or container. Place the plant inside the hole. Fill the space around the plant with soil so it fits the hole. These general directions work for transplanting grown and potted plants, but there can be specific methods you’ll need to follow for planting trees. so much that they water them to death. Research your plant’s water needs! Quantity of water and frequency of watering matter. or maybe on a wall or raised bed. 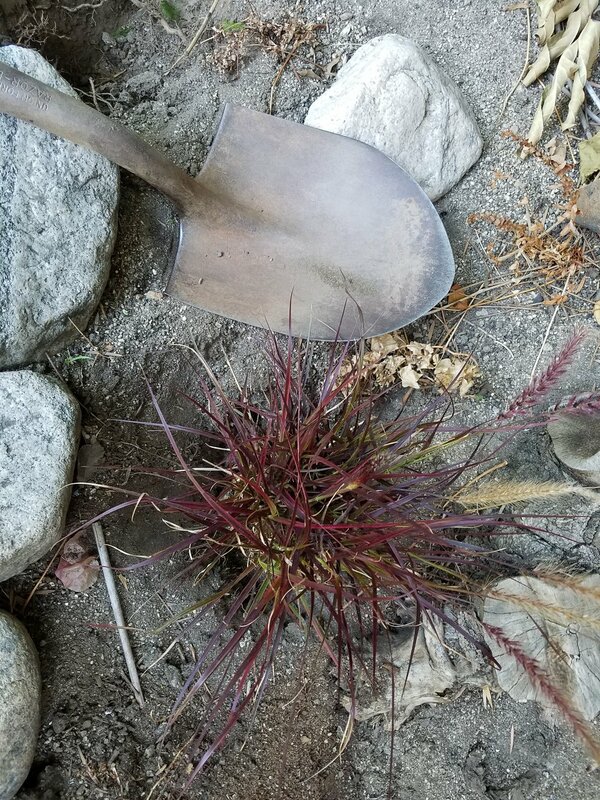 If you’re planting outdoors, check your growing zone. Avoid tears and frustration by choosing plants best suited for your area. Check out the USDA Plant Hardiness Zones. I was never so sad as when my East Coast morning glories barely made it through the dry, dry Southern California summer. So much water was needed for them - they weren’t meant for drought conditions. Plants ‘like’ certain amounts of light. A shade loving plant will wilt with too much sun. Sun loving plants won’t grow as well if there’s not enough light. 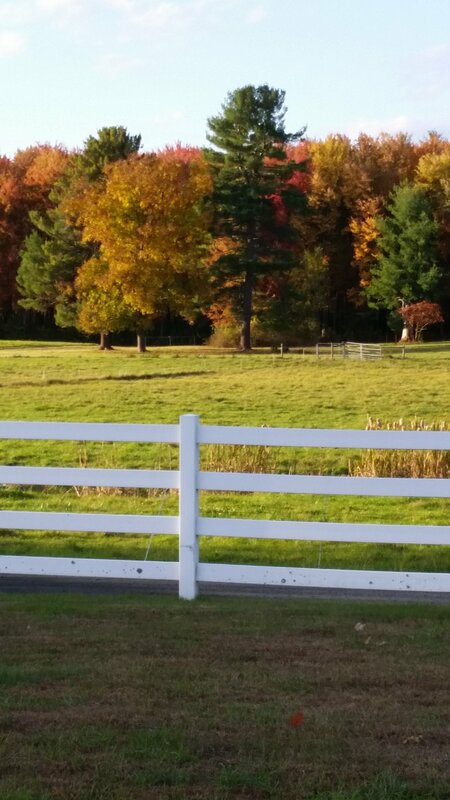 Obviously, gardens or agricultural farms need sunshine as light. If you’re planting around a building, consider the sunshine the plant will get. Indoor artificial light works for many plants. A south facing window or room will have sunlight throughout the day and can work for plants grown indoors. microclimate, so try moving the plants if they're not thriving. Soil is made of organic and inorganic materials. It provides nutrients to the growing plant and is the physical material that surrounds it.. 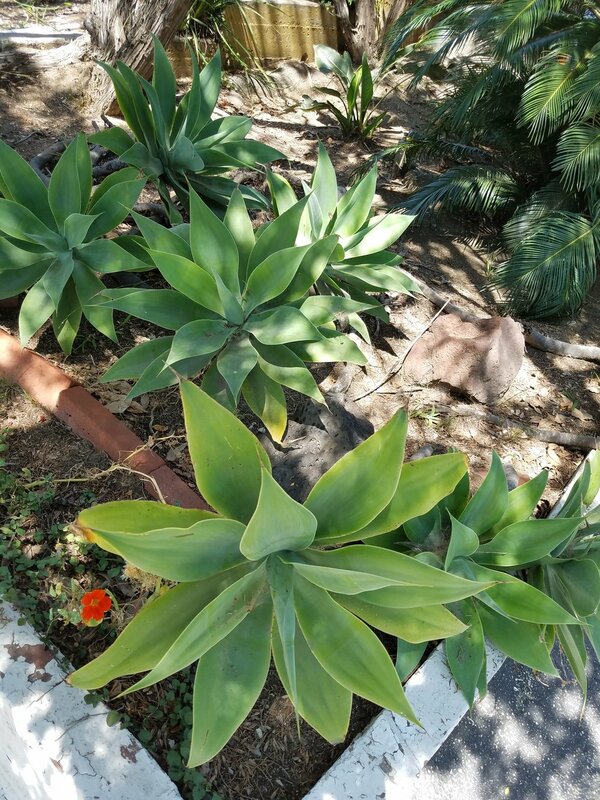 Regular potting soil is good for many plants, but not all, such as cacti that prefer a sandier soil. There are many organic soils too. See what your plant needs! There are about 74,000 different varieties of soil in the United States. The U.S. Department of Agriculture can identify the soil type in your area and you can make plant choices that’ll grow well. Soil can be tested for available nutrients, soil type, drainage and pH (acidity). Fertilizers may be needed. There are many types on the market. Many fertilizers can be used to promote plant growth. My students chose it as an independent variable in plant growth experiments. The dependent variable was plant growth, color and other observations. Hydroponics is super popular as a growing medium, using water instead of soil. There are many different hydroponics systems. Hydroponic solutions will contain plant nutrients for fertilizer. Plants with flowers are gorgeous and great for immediate gratification. Instead, buy a flower plant with promising buds but no flowers. A plant without blooming flowers will put its energy into getting rooted and will soon flower. A plant with flowers will put its energy into making seeds, the next step in flower development. when flowers are actually one of the plant organs. It’s like going to the grocery store and asking for roots rather than carrots, beets, or parsnips. 1. Cactus – these spiky succulents love direct sun and need little and infrequent water. 2. 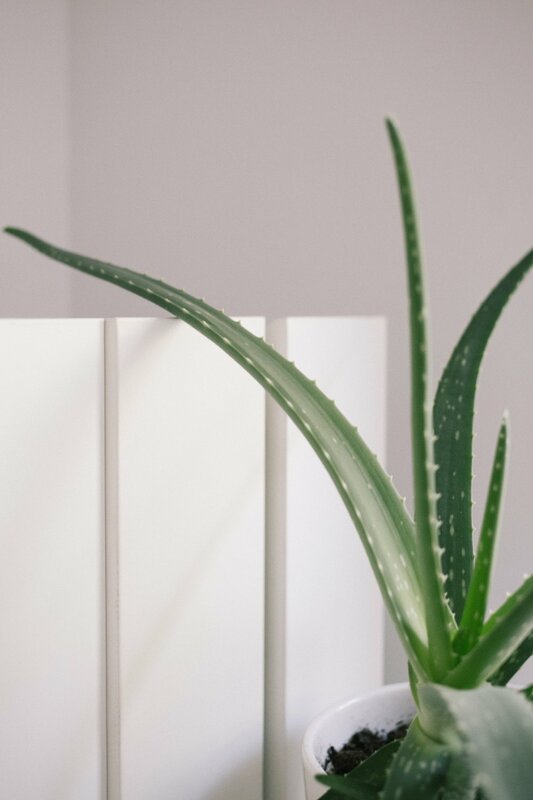 Aloe Vera – another sun worshipping succulent that’s famous for burn relief. 3. Spider Plant – makes babies, perfect little clones that can be replanted. 4. 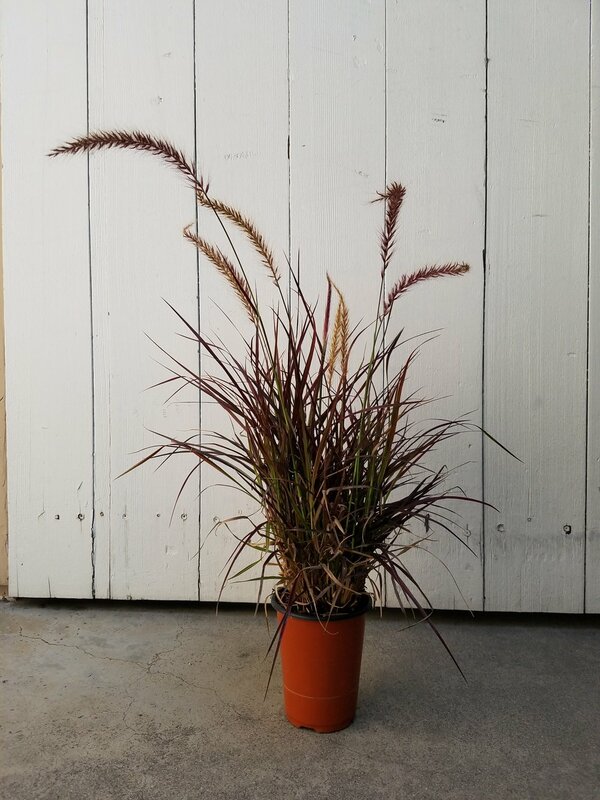 Cast Iron Plant – so durable, it can live without much light or water. 5. Philodendron – a vining hanging plant. Keep Phil out of direct light and don’t give him much water. Grow locally. Vegetables from your own local garden have a very low carbon footprint since they travel only short distances from the Earth to your kitchen. Find a community garden near you. The American Community Gardening Association serves America and Canada. Many community gardens are in cities, so provide a green and shady place to escape the busy and often plant-less urban life. They’re a great place to put your hands in the soil, literally connecting with the Earth. And they’re a great place to bring children – they’ll eat the vegetables they grow, and get dirty in the soil which can help their immune systems, and learn about the natural world in the process. 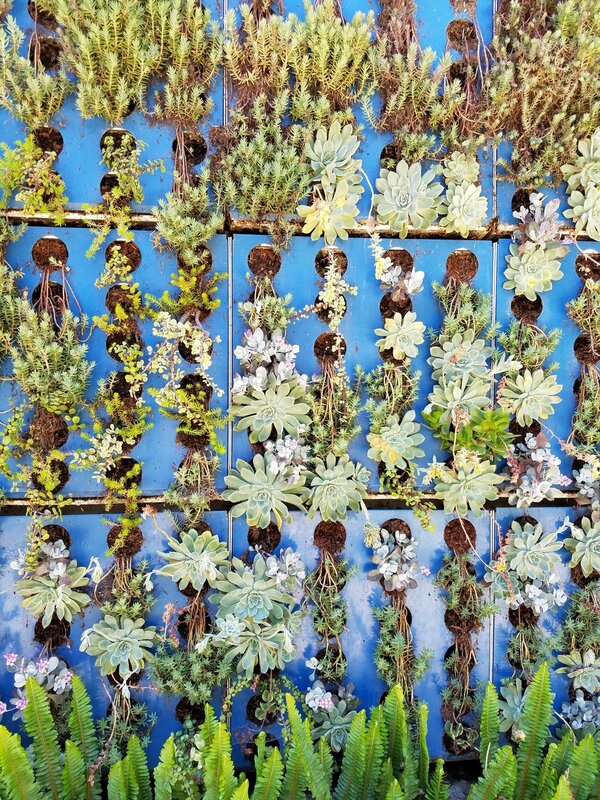 The Altadena Community Garden is a super successful plant place here in Los Angeles. Active since the 1970s and part of the LA Parks system, it serves planty citizens, 4-H groups, disabled gardeners, and students. 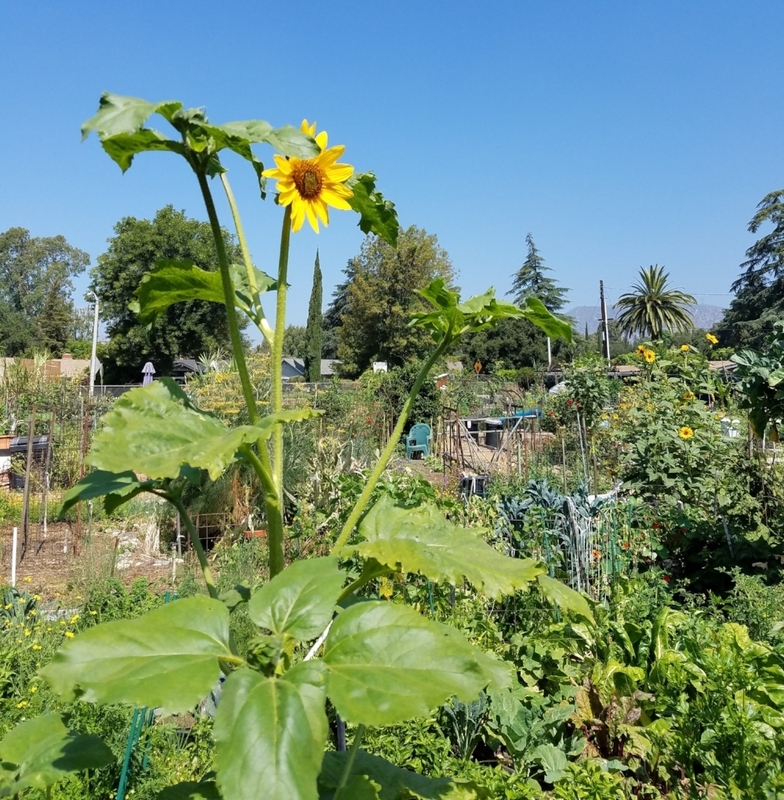 I toured the Garden and was bowled over by its finesse and variety of plants – kale, artichokes, beets, Swiss chard, sunflowers, tomatoes, squash, rosemary, Gerbera flowers and many more. You’ll get a small space to grow plants in the company of neighborhood gardeners. You’ll find community gardens are a great place to learn from other gardeners. You’ll meet people who love plants while joining a collective group. You’ll learn how to mulch – to save water - and compost – to recycle plant nutrients. Community gardens serve you as a local citizen, as a plant student, and your community ecosystem. Plants grow standing above one another. Typically they're grown in containers. They can be grown in aeroponic tower structures. Aeroponic describes the engineering of plants grown in the air and with water as a growing medium, instead of soil. 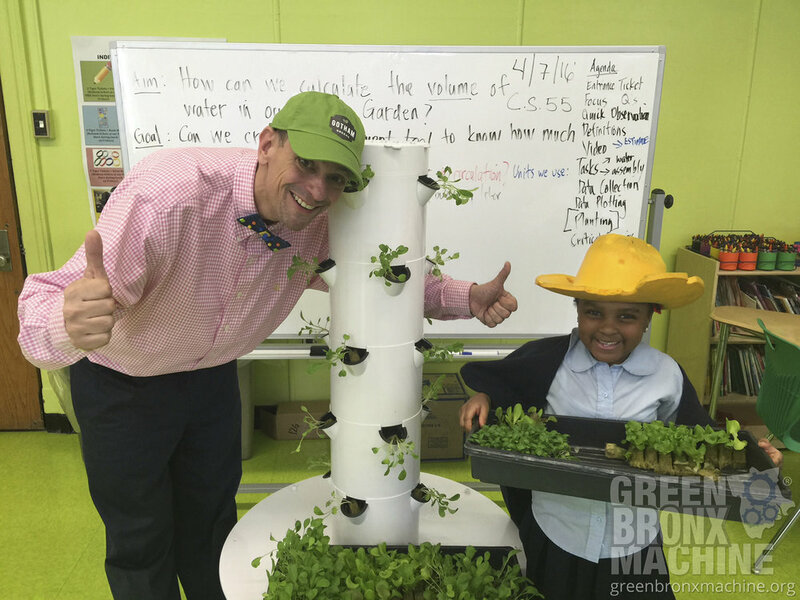 Vertical Gardens inspire – Teacher and Urban Farmer Stephen Ritz’s Green Bronx Machine is a movement that connect students to plants and healthy eating. Tower gardening is the practical growing form that teaches, engages students, and solves the challenges and problems of urban food deserts. I love this. 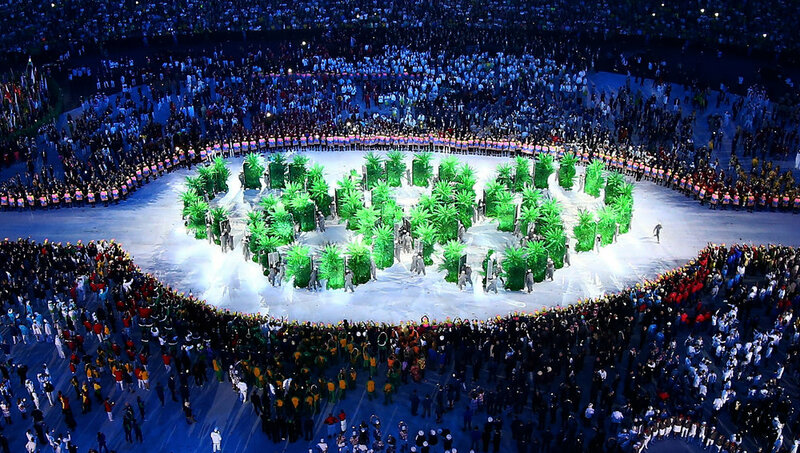 Rio's 2016 Summer Olympics Opening ceremony had parading Olympic athletes place plants into the Vertical towers. The Towers then formed the Olympic rings in green. What a cool message – to link the global importance of plants in international harmony. The trees were then planted in the Athlete’s Forest in Deodoro for an enduring plant legacy. I won’t sell your email. I won’t clutter your Inbox. You will get exclusive Plants go Global freebies and challenges for personal plant promotion. Plants Go Global provides many resources and links as a convenience and for informational purposes but does not claim responsibility for the accuracy, legality or content of external sites or for that of subsequent links.